Until recently Croatian wines, especially whites, were in no way outstanding. But the times are changing, and what is currently available south of our lands will surprise many connoisseurs. Perhaps everyone who has visited the jagged Croatian coast has tasted the local wine. In general random selections are involved, with corresponding results. Tourists often got oxidized mash instead of wine when choosing from domestic sources. But Croatian winemakers, whether on the mainland or the islands, have a century-long tradition and dozens of original grape varietals. If the grapes are treated properly, wines comparable to the best in the world are produced. Incidentally, Croatians who were driven from their native land by misery or politics have been present at the birth of modern viticulture in California, Australia, and Chile. After the regime change some returned home, bringing with them modern technologies and a new way of looking at wine. One such refugee is Miljenko “Mike” Grgič, who established a reputable winery in Napa Valley, California, and today, in his old age, turns out fine wines on the Pelješac peninsula. The wine law in Croatia divides the country into two regions – continental and coastal. These are further divided into twelve wine producing areas. The best whites are found in the interior, near the border with Slovenia. Also outstanding are Istrian Malvazija wines, especially those made from grapes grown in the interior of the peninsula in the white soil there. Dozens of family wineries have sprung up, led by young, educated people who have already had a chance to acquire experience abroad. They are even reviving abandoned vineyards on the islands, where, due to the extreme conditions, few grapes are grown, but those that are produced are of exceptional quality. A photograph of one such vineyard hangs at the UN, in order to document where people can cultivate the crop called varietal grapes. So in the last two or three years pleasant, fresh, and original Croatian wines with geographical origins have appeared on the market, and it’s a treat to drink them (see the Wine Guide). – This sturdy, stainless steel bottle holder will make your favorite vintages even more presentable. The elegant, clean cut lines are reflected in its name – Boa. Produced by Zack, price CZK 995. 30 January 2004 – for those who want to be better informed about global wine trends and types, the National Wine Salon in Valtice has prepared a seminar, “Introduction to the world of wines,” intended for wine lovers who want to learn more about tasting and choosing wines, which has already become a basic social convention. In the morning ing. Josef Balík of the Lednice school of viticulture will lecture on theory, and in the afternoon Libor Nazarčuk, one of the finest sommeliers in the country and also the Czech Republic champion and winner of the Bohemia sekt Trophée, will demonstrate practical examples. Perhaps most importantly, you can also taste about a hundred of the finest Czech wines. Today’s Wine Guide is a brief overview of the Croatian wine producing areas – from the white wine from fertile Slavonia, on the Hungarian border, to the fine reds from the rocky slopes of the Pelješac peninsula. Graševina is a semi-early white varietal grown primarily in Slavonia. It yields a fresh, pleasantly drinkable wine with gentle tannins, a yellow-green hue, harmonious flavor, and traces of flowers and grass in its aroma. It goes well with simply prepared white meats, pastas, and cheeses. A unique, typical white wine from the island of Krk. It is crystal-clear, with the fine yellow color of straw. It has a fresh flavor, which is well balanced with a floral aroma. It’s more robust than Graševina, with a pleasant, long persistence, and it goes very well with fattier fish, crabs, and mussels. 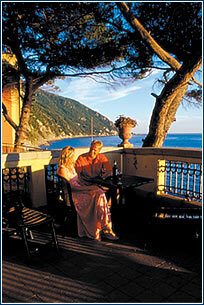 The island of Brač is a popular tourism destination, and the Plavac that is produced there is one of its finest. It is made from Plavac malý (small), a blue varietal. The wine has a lovely ruby color and a harmonious flavor, best if allowed to breathe for an hour prior to serving and decanted into a carafe. 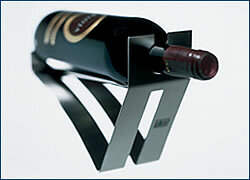 This allows the wine to open up and reveal its virtues. A first-rate wine made from the Plavac malý varietal, typical of this area. An extractive, full wine with a dark-red color and well-rounded body and flavor. Excellent with grilled meats and game. All of these wines can be ordered from the importer, Croatia trade, Libušská 53/145, Prague 4, www.croatiatrade.cz, or can be bought at the company outlet at the same address.